At Timothy Off, we know your hot water heater is one of the most essential appliances in your home or business – not only do you use it for showers and baths, but also for laundry, dish washing, hand washing, and more. If your hot water heater is not working, it can be tough to go about your daily routine. That’s why our residential and commercial electric and gas hot water heater repair and replacement experts are here to help. 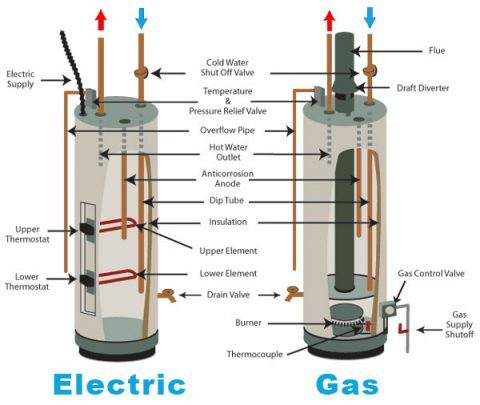 Whether your hot water heater is powered by propane or natural gas, the most common problems of gas water heaters include water that doesn’t get hot enough and less hot water than usual. As plumbing experts, we’ve seen these hot water issues in dozens of properties and they’re usually caused by a pilot light that’s not lit, a burner issue, a gas leak, a thermostat issue, or a mechanical issue. It may be difficult to figure out what’s wrong with your hot water heater on your own, so instead, make an appointment with Timothy Off. We’ll send an expert to your location to assess the situation and repair your water heater quickly. Because electric water heaters use electricity to operate, the problem you’re experiencing may actually be caused by an electrical issue instead of the water heater itself. For example, if your water heater won’t turn on, check your circuit breaker for a tripped fuse. Or if your water heater is slow to heat or runs out of hot water faster than it used to, you may be able to make a quick fix by replacing the heating element. Some electric water heater problems may be more serious, however. These include leaks, water pressure changes, valve issues, noises, and more. To make sure your water heater is restored properly, schedule an appointment with our plumbing experts. 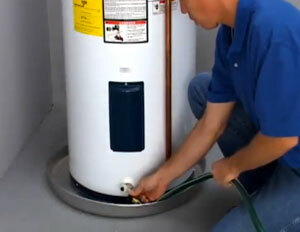 Sometimes a serious hot water heater issue may be better resolved by just replacing your water heater. If there’s a major problem with your water heater or it’s more than 12-15 years old, it may be time to consider a new one. Talk to our experts today – we can help you choose a hot water heater that’s not only energy efficient, but affordable.